In this article, RiA is very honoured to interview a key individual in charge of german initiatives in Africa. Olivier Drücke works as independent energy transition consultant, serves a VP strategy & market development to the German-Tunisian off-grid specialist SOLAR23 GmbH. He is the project director of the Nigerian-German initiative “Let’s make solar work”. What are the reasons of the current competitiveness of Solar in Africa? Is it the same in all countries? The brand-new Bloomberg report “Solar for Businesses in Sub-Saharan Africa” available online (Link) clearly shows that in 7 out of 15 markets, solar is cheaper than grid tariffs for C&I customers. This is mainly driven by economics as opposed to regulatory environments – Money talks. One the other hand, the updated study by German Solar Industry Association BSW “Enabling PV Nigeria” which is also available online, shows that power generation costs of Solar PV outperform diesel generators in Nigeria which is one of the largest diesel generators markets worldwide. The economic indicators of PV generators show that it is time for C&I actors to seriously consider PV as an alternative for significant energy cost savings. How could businesses take advantages? What countries are taking the lead? Although competitiveness of PV is finally here, especially in the utility scale solar power generation, many African countries are not yet fully aware of this break-through in the mid-sized solar PV generation for C&I actors. Among African economies however, South Africa, Ghana and Kenya can be cited as early adopters. 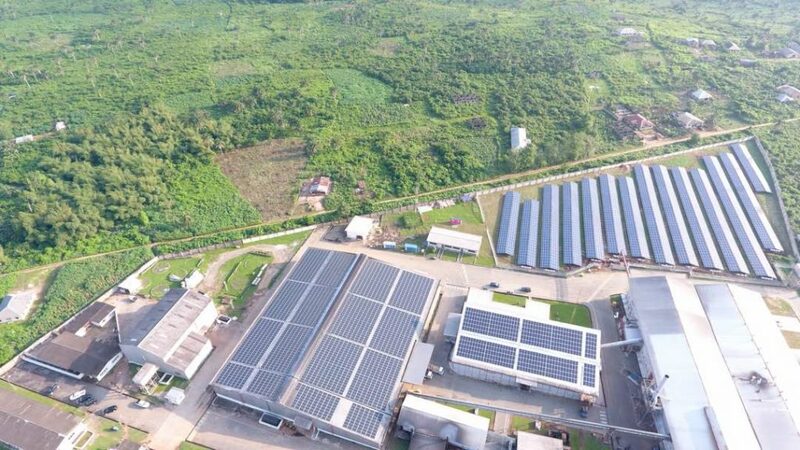 Next to remote mining companies in Africa, we are now starting to see several internationally branded companies based in Africa experimenting PV power plants, often in the form of PPA projects with installed capacities from the level of few hundreds of kWp to several MWp. These PV plants often start as diesel fuel savers initially and are subsequently expanded with more integrated capacity increments. Similarly, ‘embedded’ or grid-connected PV-systems are increasingly helping C&I customers to save money on power grid tariffs. These systems are seen as a smart remedy to secure their power supply and protect businesses from power grid instabilities. What have been the challenges of Solar in Africa? What are the remedies? Two market barriers dominate: typically a knowledge and know-how gap and the well documented lack of availability of project financing. The first barrier can be addressed by widespread information and systematic capacity building. In the case of the dormant solar giant Nigeria, our market development initiatives “Let’s make solar work” and “Solar works, Save money” are supporting early local adopters by providing training seminars for solar professionals, especially training them in the power auditing and sizing of PV diesel hybrid systems. These initiatives are available online, and we will particularly encourage African developers to make full use of precious resources such as our simplified “PV-calculator” for captive solar power projects. These tools need to be spread to most, if not all African countries. The financial gap can most probably be best addressed with new business models such as PPAs provided by independent power providers (IPPs) who have good access to international equity and debt financing.